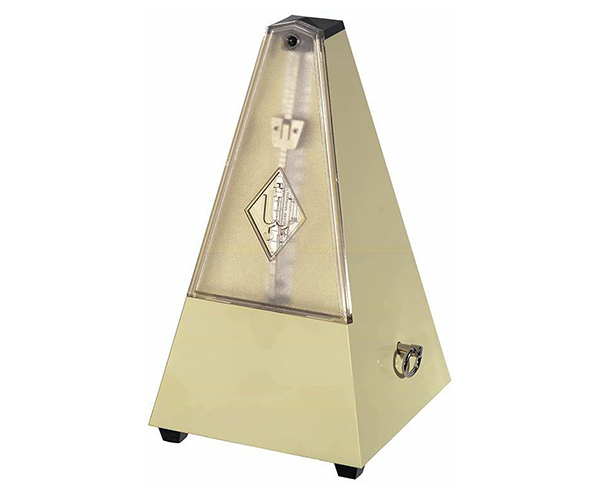 Linley metronome with bell in gloss white finish. High grade synthetic casing with transparent front cover. 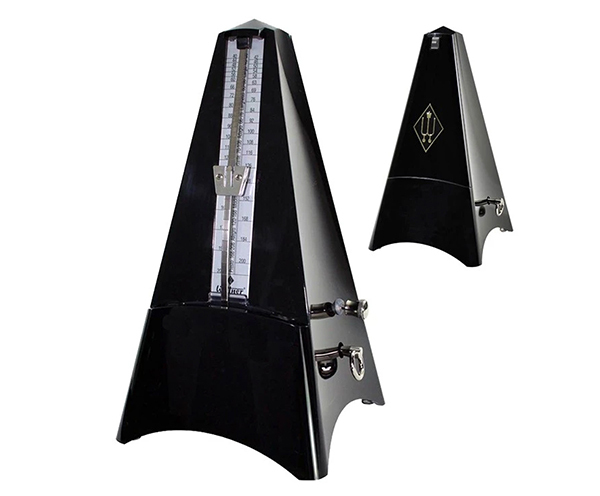 Linley metronome with bell in gloss black finish. High grade synthetic casing with transparent front cover. Linley metronome with bell in gloss ruby finish. High grade synthetic casing with transparent front cover. Linley metronome with bell in porcelain finish. High grade synthetic casing with transparent front cover. Linley metronome with bell in teak finish. High grade synthetic casing with transparent front cover. 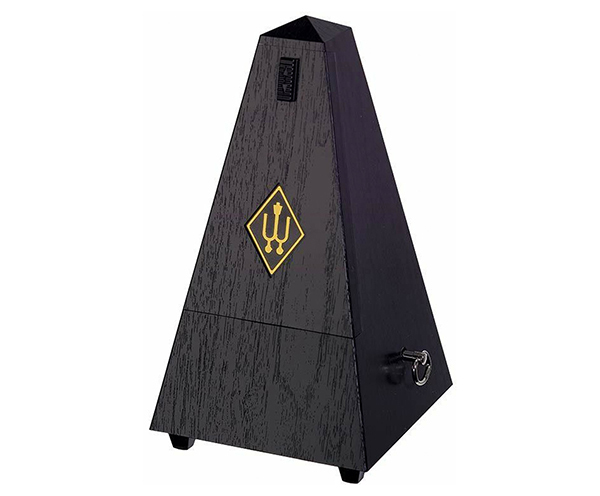 Linley metronome with bell in matt black finish. High grade synthetic casing with transparent front cover. Wittner Maelzel Metronome - Woodgrain Plastic, Black 855161. Pyramid-style wood-grain plastic metronome with bell. Matching solid wood-grain plastic front cover. Made in Germany. Wittner Maelzel Metronome - Woodgrain Plastic, Mahogany 812k. Pyramid-style wood-grain plastic metronome with bell. Clear perspex front cover. Made in Germany. Stylish new Tower Line series. Black acrylic with bell. Made in Germany. Stylish new Tower Line series. Stunning transparent body show intricate workings of German-built mechanism and bell system. Made in Germany.